We’ve been helping businesses across the East and West Midlands transform their workspaces for over 17 years. To create an outstanding finish for your office fit out or refurbishment, our trusted teams of sub-contractors will complete your work to the highest professional standards. 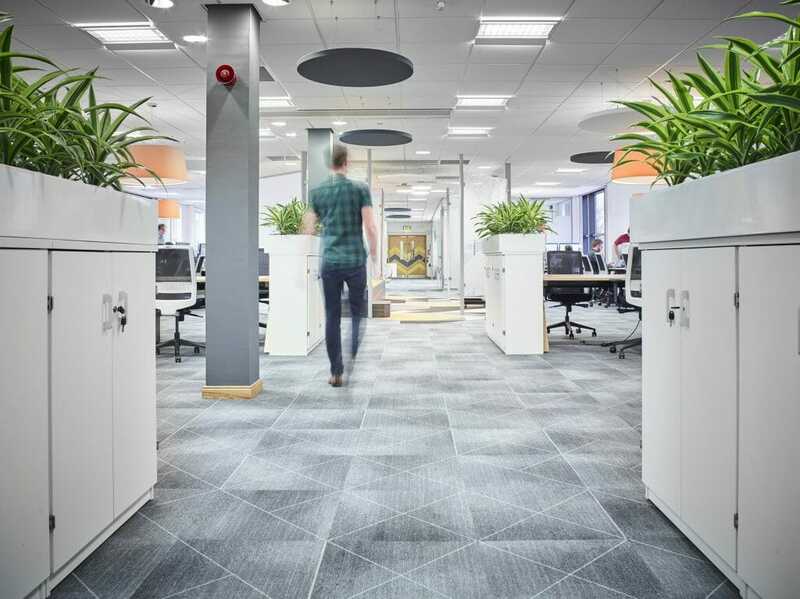 Our expert team of interior designers, project managers and subcontractors will ensure your one-of-a-kind office refurbishment project is complete on time and on budget. You’ll be assigned your own Blueprint project manager who’ll oversee the entire refurbishment or fit out process for you. This includes everything from site management, to health and safety and logistics. Find out more about our four step process here. Lighting can have one of the biggest effects on a working environment. Quality of light directly impacts upon comfort levels, working ability and output. In the modern workplace technology is a key factor, and we work closely with you to ensure all your power and data requirements are met. Office partitioning can provide a simple solution to many problems found in the workplace. Room dividers and partitions can act as sound proofing for quieter office areas, or to create new, smaller spaces within your large open-plan office. 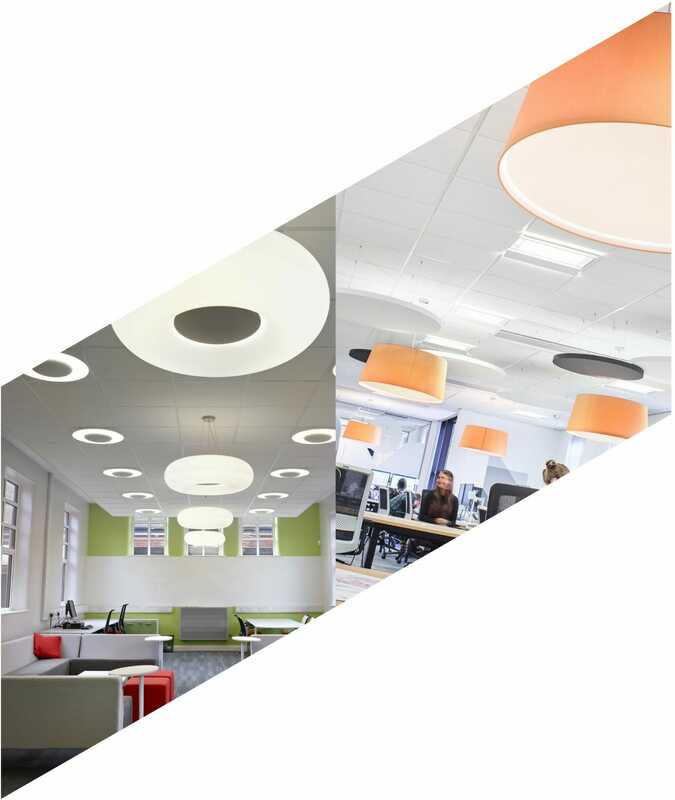 Full design, fit out & project management for leading-edge teaching facility MTI. 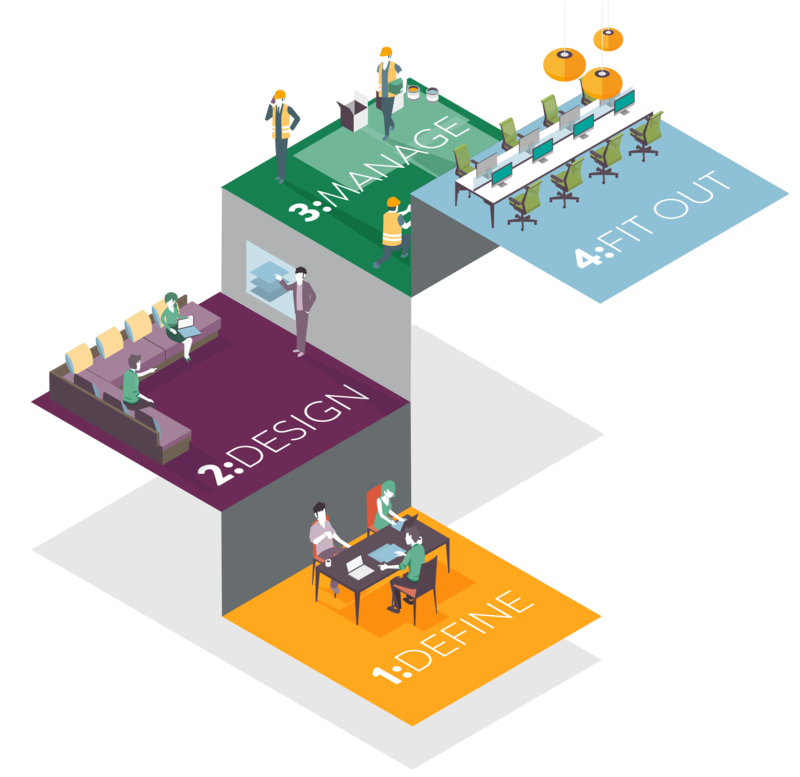 Our 4-step process takes care of every aspect of your office. depending on your needs, the steps are available as a complete package, or as individual services. WorkLife Central is our living offices and showroom in Ashby-de-la-Zouch, Leicestershire, where you can try out many of the latest furniture, acoustics and technology products for yourself. Come and take a look around.